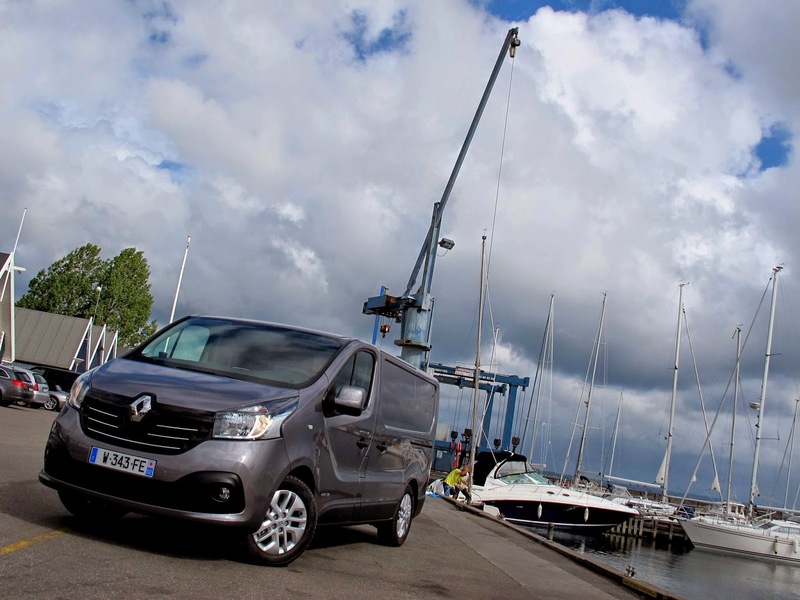 Apparently, the new 1.6 single turbo and twin turbo engines in this all-new Trafic van have benefitted directly from Renault's involvement in F1. They wouldn't be drawn on exactly what had been done, but out of four direct engineering transfer programmes, two concerned combustion chamber design and treatment, and the surface treatment of cylinders. 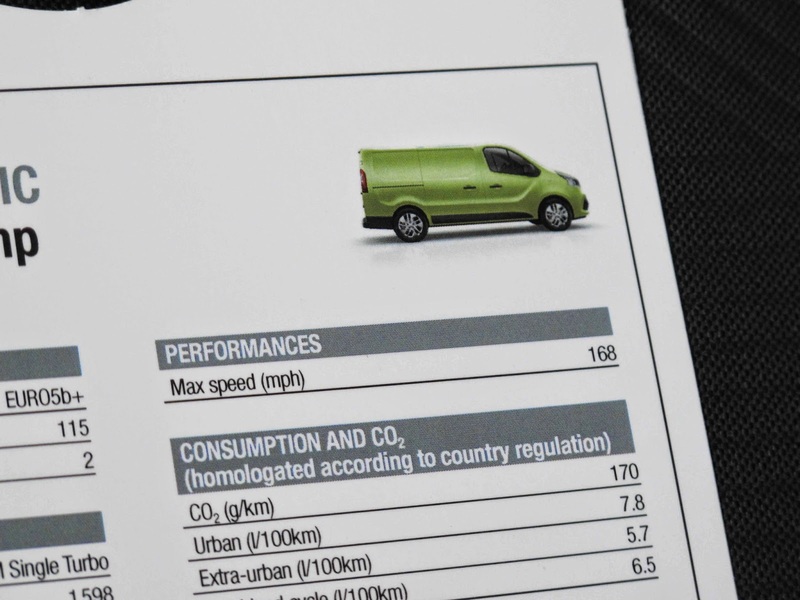 However, methinks this doesn't quite translate into the claimed top speed of the 115 hp single turbo van. 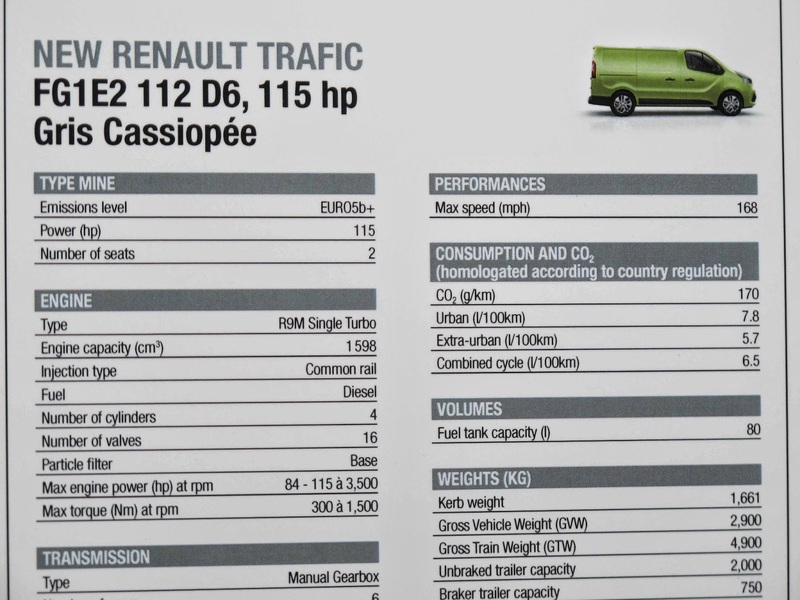 As you'll see from the spec sheet, the French got their kph mixed up with mph. We might well be in Europe, but we're not fully integrated yet, despite the wayward efforts of our domestic politicians and overpaid Euro-lot- wee Eck take note! On the other hand, if he does get his way in September, maybe we'd best stick with the Groat rather than be stuck with the Euro.